“Labour Party in Turmoil!” “Is Labour going to split?” “The Labour Party is increasingly anti-Semitic” “45 female Labour MPs tell Corbyn ‘Abuse is in your name’” “Eagle accuses Corbyn supporters of ‘bullying’ Labour rebels” “The Breaking of the Labour Party” “Jeremy Corbyn’s deselection threat means Labour’s civil war is now a fight to the death”…. That is the way the rules work, and no, he doesn’t favour changing the rules. He acknowledged that some Constituency Labour Parties (CLPs) may well want to replace their current MP with one whose views support their own. He also later pointed out that, as Leader, he has no power to intervene, one way or the other. That is also how the rules work. Cue a whole set of headlines based on Corbyn’s ‘threats’. How the very democratically elected Labour leader keeps his cool under this constant onslaught of verbal abuse and false smears being fed into the right-wing media from the very MPs who should be supporting him is a wonder. His reaction to the nastiness has been called Zen-like. As a person who believes in peaceful dialogue and who never resorts to threats and bullying, he lets it all wash over him, although he did admit to a trade unionist at the Tolpuddle Martyrs Festival that he worried about the effect it might have on his family. He’s right to worry. The pressure will only get worse in the next few weeks as the ‘New Labour’ MPs who are trying so desperately to get rid of Corbyn feed the mainstream media with false stories about him and his many supporters, some of whom have been labelled as dangerous thugs. The person to whom Corbyn spoke later told a Momentum meeting that she had been approached by the BBC – the reporter wanted to interview Corbyn. He also wanted to speak to an anti-Corbyn person – ‘for balance’. Was there an anti-Corbyn person there he could speak to? At Tolpuddle, the birthplace of modern unionism? A vain hope. Stories have been fed to the media from the day Corbyn was elected as leader last September. Since the pre-arranged and unsuccessful attempt to oust him via a ‘vote of no confidence’, false stories have come thick and fast. The willing media have been used as a tool by the remnants of Tony Blair’s New Labour. Media Lens documented how very biased the angles of the headlines and articles have been in their efforts to belittle and smear a politician who is known and respected for his honesty and principles. The London School of Economics published a damning study into the media coverage following Corbyn’s election last year. It is a sorry and dirty tale. As the press refused to even publish details of Corbyn’s tireless travelling across the country, making speech after speech asking people to back Remain in the recent EU referendum, his enemies among Labour MPs were able to dishonestly claim he ‘had not done enough’ to prevent the vote for Brexit. If the media even bothered to report Corbyn’s reaction to the accusations, it was misreported. Craig Murray posted a powerful piece giving examples of events where the media reported an entirely different story to what actually happened, usually involving violence and ‘thuggish’ behaviour, if not sexist, misogynist or racist as well. It really is time that the elite, the politicians and the media caught up with the fact that now just about everything gets filmed by the public on their phones, and they can only deny the evidence by refusing it a space in their papers and on their TVs. 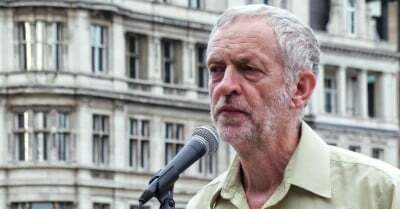 Having been democratically elected, with the largest mandate any UKleader has received, Corbyn refused to resign his position, despite all the pressure from his ‘fellow’ MPs. Up springs a leadership challenge in the person of Angela Eagle, who then came out with a story that a brick had been thrown through the window of her constituency office (see Craig Murray above). Eagle, who looks set to be deselected by her constituency party at the next general election, made other mistakes, much to the amusement of the ‘Corbynistas’. Then another challenger appeared – Owen Smith. Owen who? Few Labour members were familiar with the name, but surprisingly, Eagle stepped back and Smith became the sole challenger. The CLPs are also having a difficult time. They are expected to nominate their preferred candidate for the leadership election. But, as Croydon North demonstrates, many CLP anti-Corbyn committees are doing their best to exclude pro-Corbyn members from taking part in the votes. When Brightonand Hove CLP held its AGM recently it elected a new executive committee, which happened to be pro-Corbyn. The next day Labour’s National Executive Committee (NEC) annulled the vote and suspended the branch. It has also, undemocratically, suspended all constituency meetings across the country until after the leadership election. Many CLPs are reported to be holding unofficial meetings at the local pub! His commitment that a future Labour Government would build council houses and regulate private sector rents struck a chord with millions affected by the housing crisis. His pledge to scrap tuition fees and reintroduce student maintenance grants was greeted with acclaim by everyone who is dismayed by the commodification of higher education. His promise to renationalise the railways and take a stake in our utilities is hugely popular with the vast majority of the British public who are sick of being ripped-off by these privatised industries. His determination to substantially increase the minimum wage, invest in hi-tech manufacturing and stop corporations offshoring skilled and semi-skilled jobs is acknowledged as plain common sense. His guarantee that a future Labour government would repeal the anti-trade union legislation, clamp down on tax evasion and stop British dependencies being used as tax havens would improve the living standards of millions. The lack of vision in Owen Smith’s campaign means he has had to borrow someone else’s: Jeremy Corbyn. If this wasn’t enough to cope with, a funder of the Labour Party, a billionaire called Michael Foster (perhaps one of those that Peter Mandelson felt intensely relaxed about being filthy rich) went to court, claiming that the NEC took the wrong decision when it ruled that Corbyn, as the current leader, should automatically be on the ballot paper. It is worth noting that Foster gave £400,000 to Labour. But in just two days 183,000 people registered (and paid a fee of £25 to do so) so they could vote for Corbyn. Many of these were full members of the party who had been denied the vote because they hadn’t been members for long enough – another shameful and undemocratic attempt by the establishment to block Corbyn. Through these people, many of whom could ill afford the fee, Labour has just been given over £4.5 million. Beat that, Mr Foster. Foster lost his case and Corbyn remains on the ballot paper, but one wonders quite what the anti-Corbyn brigade were hoping for. Having tried to force Corbyn into resigning, they went for a leadership contest. None of the leaders of the coup could have stood against Corbyn. They are still too closely linked to Tony Blair and needed someone safer. With Eagle gone, their ‘safe’ candidate Owen Smith is looking every inch the loser. Apart from having been a lobbyist for Pfizer and not having much experience as an MP, he also has a long history of making misogynistic remarks – hardly a vote winner except with fellow misogynists. Had Corbyn been removed from the ballot, the old New Labourites would have automatically found themselves with a leader that probably no one wants. As it is, if Corbyn wins and remains as leader, they have threatened to force another leadership election next year. And the year after that. In fact, they appear quite willing to destroy the party just to rid Westminster of Corbyn. What is it about this man that so frightens them? He is not perfect, but perhaps it is simply that his principles are so clear, so unbendable or unbreakable, that he makes these self-important people all look small – which, in competition with someone of his stature, they are. But what is even more worrying from their point of view is that when this aging, non-egotistical and upright politician speaks, he makes every individual in the huge crowds that he attracts feel and look big. And every day there are more people joining the crowd. Labour now has well over half a million members, more than all the other UK parties combined. People don’t follow Corbyn because they believe he will change the world for them, but because he makes them believe that they can change the world. And they’ll make a start by changing the Labour Party.